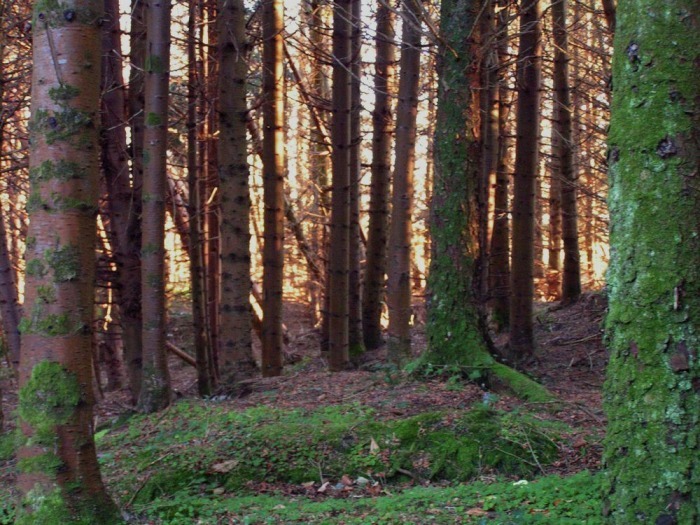 Bonny Glen Wood was an area previously occupied by seven Irish families who exchanged their homes there with the Porter estate during the famine for tickets to emigrate to a better life in America. 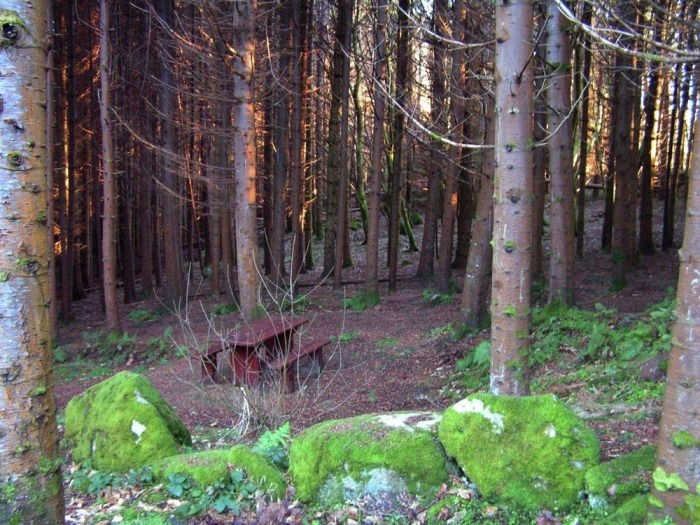 The wood is now owned by Coillte (the Irish Forestry Company). 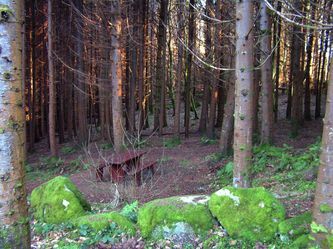 The woodland is a beautiful and peaceful place where people can spend time walking the laid out paths or enjoying a picnic at one of the many picnic tables and benches scattered throughout the wood. 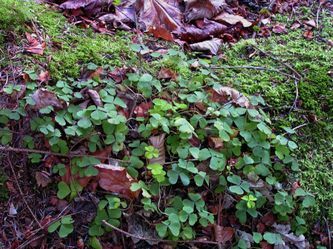 In the wood there are many different types of trees including beech, birch, hazel, Japanese larch, lodgepole pine, mountain ash, noble fir, Norway maple, oak, rowan, Sessile oak, Sitka spruce, sweet chestnut, sycamore and wild cherry. 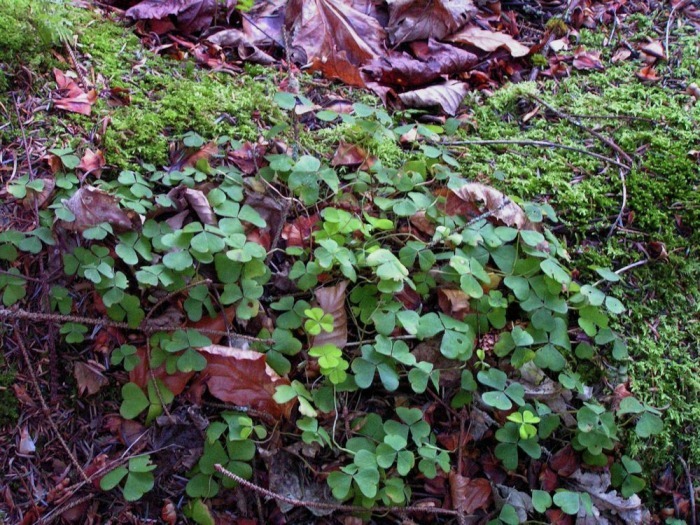 Under the trees the ground is covered with ivy, clover, heathers, furze, ferns and most specially, shamrocks. The wood is home to plenty of wildlife too including red deer, hares, badgers and many varieties of butterfly. 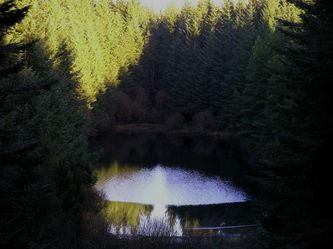 There are three lakes within the wood, they being Namanlagh Lough, Bonnyglen Lough and Killyayenna Lough. 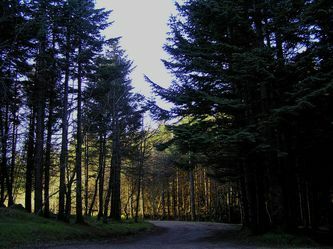 The later is the one you can see from the car park upon arrival. There is a car park at the opening to the wood and then two signposted walks around the woods: the first being the shorter Namanlagh Lough Walk which is around 1km/under half a mile long and the second being the Bonny Glen Loop walk which is under 3km/2miles. The paths are easily walked but it might be as well to take waterproof/walking shoes incase it is muddy after rain. On the day we were there we noticed a family taking a baby in a pushchair around one of the walks which would lead us to believe that most of the walk is smooth enough for a pushchair, perhaps even a wheelchair. Entrace is free and the wood is open all year round. Google map after photos. 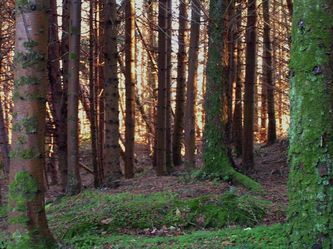 To get to the wood go to Kilclooney. At the church at the top of the hill leading down to Naran and Portnoo there is a small road off to the right at the side of the Dolmen Centre. 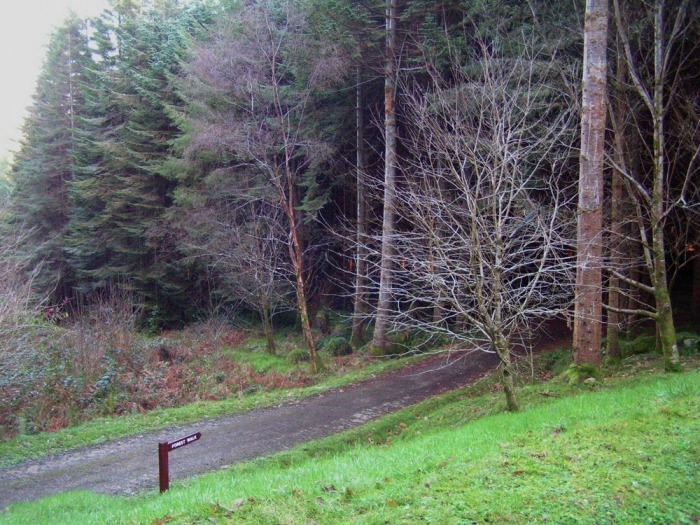 Take that road and continue along it until you reach a signpost indicating Bonny Glen Wood to the right. 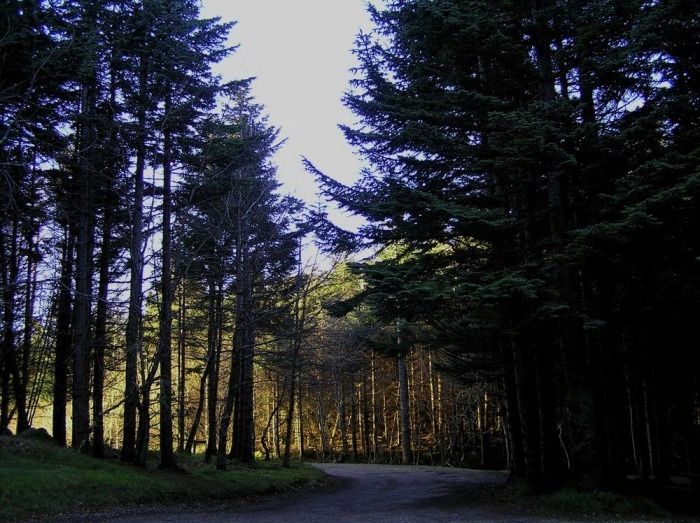 The wood is just a little way along that road.